“Ephemeral does not equal unimportant” shared Christian Artuso, Manitoba Program Manager of Bird Studies Canada, with the cadre of workshop participants sitting at Nature Conservancy Canada’s property in Southwestern Manitoba. Christian is referring to the flood and drought cycle of the midcontinent’s prairie landscape. In some years, the shallow lakes and small pothole wetlands are full to the brim. Water fills every low lying area across the seemingly flat region. Sometimes, the flood cycle can last years. In other periods, persistent drought shrinks the availability of wet habitat to a few core areas. But every year, shorebirds move through this region, many during spring or fall migration to rest and refuel en-route to nesting areas well to the north in boreal bogs and on the Arctic Tundra or to wintering grounds to the south in Mexico and South America. A few species, like Marbled Godwit and Wilson’s Phalarope, spend the nesting season on the Manitoba prairies, raising their young among the slow rolling undulations of wetlands, grasslands, and agriculture. In Spring 2018, Manomet’s Habitat Management Division helped to facilitate exchanges across important shorebird sites and among conservation practitioners in the Central Flyway through two workshops. In early May, we held a workshop in Cheyenne Bottoms, Kansas. 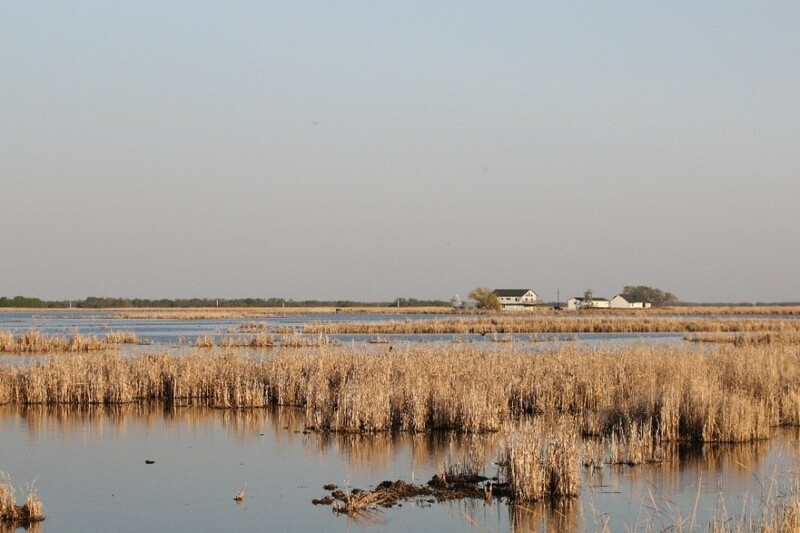 In late May, we worked with Nature Conservancy Canada, Bird Studies Canada, Manitoba Important Bird Areas, Environment and Climate Change Canada, and West Souris River Conservation District to host a Shorebird Conservation, Management, and Monitoring workshop in southwest Manitoba. 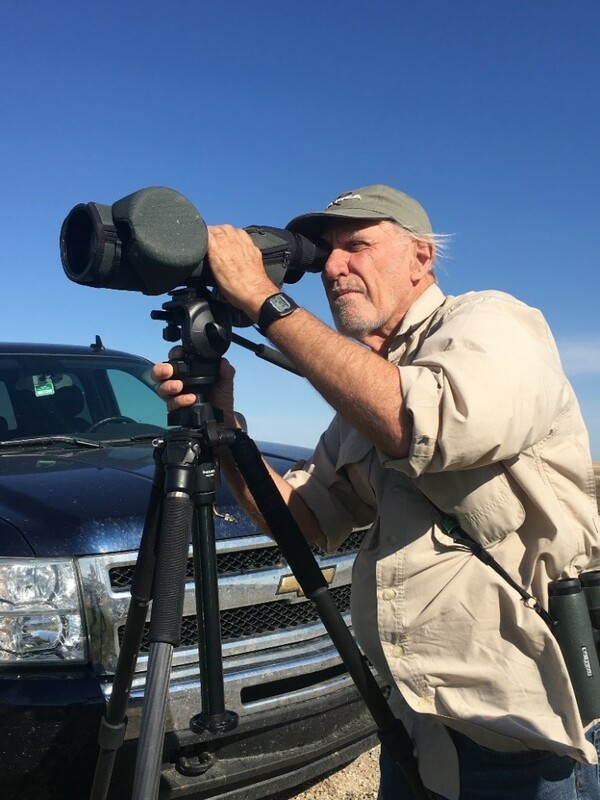 Manomet’s Senior Scientist Emeritus Brian Harrington surveys a wetland in Manitoba. Photo by Brad Winn. 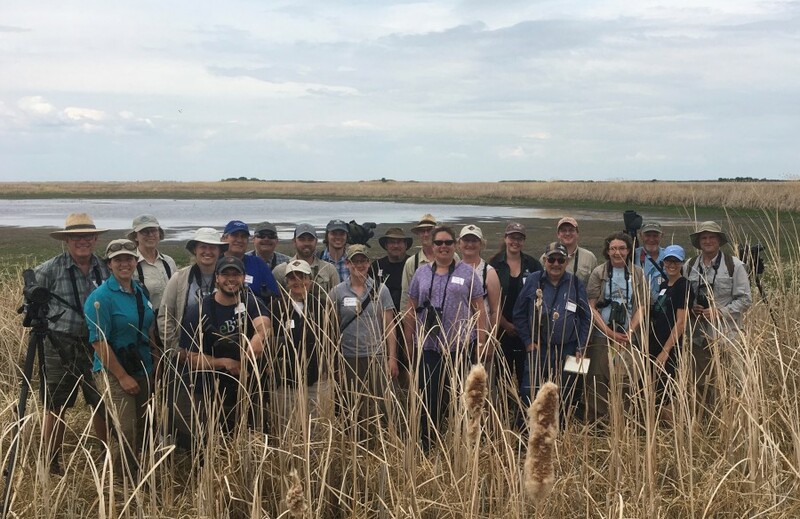 The workshop in Manitoba marked the start of a citizen science-based, collaborative shorebird monitoring effort within Manitoba using the International Shorebird Survey framework. The workshop also inspired multiple informational exchanges beyond the boundaries of the province. Ann McKellar, Wildlife Biologist with Environment and Climate Change Canada based in Saskatchewan, helped organize and plan the workshop. She shared her work monitoring shorebirds at Chaplin and Reed Lakes in Saskatchewan, Manitoba’s Western neighbor. Robert Penner, Cheyenne Bottoms and Avian Programs Manager with The Nature Conservancy of Kansas and Chair of the WHSRN- United States Committee, and also our main partner in delivering the shorebird workshop in Kansas, joined us in Manitoba to provide an overview of conservation efforts benefitting shorebirds reliant on the wetlands and grasslands using the midcontinent region to the South. 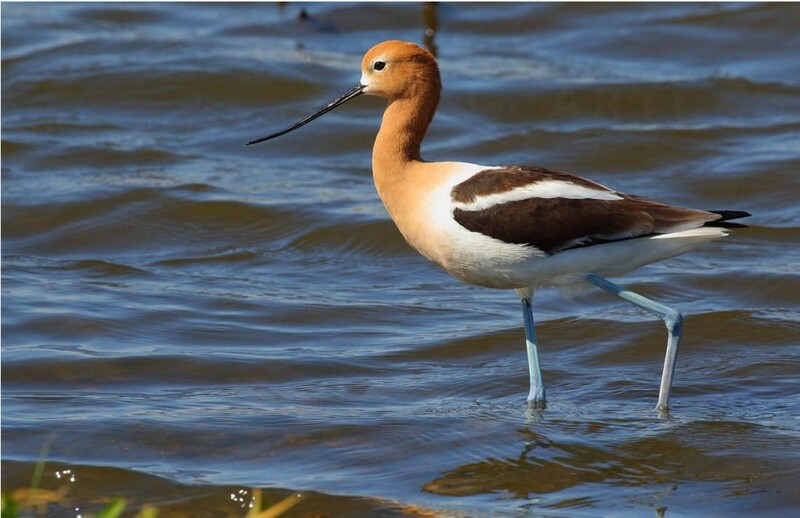 American Avocet. Photo by Christian Artuso. The prairie landscape is deceptively rich in biological diversity. Rather than large congregations of shorebirds that can be found in coastal estuaries and bays, the prairies hold groups of shorebird scattered across multiple locations in the region. As we drove, each small wetland we passed seemed to hold a small but diverse grouping of species including but not limited Semipalmated Sandpipers, White-rumped Sandpipers, Pectoral Sandpipers, Stilt Sandpipers, Marbled Godwits, and Willets. Grasslands hosted species like Upland Sandpipers seen standing on fence posts of walking through the grass. A dry, recently tilled field, yielded a delightful surprise of resting American Golden Plovers with blazing black bellies and gold and white speckled backs. 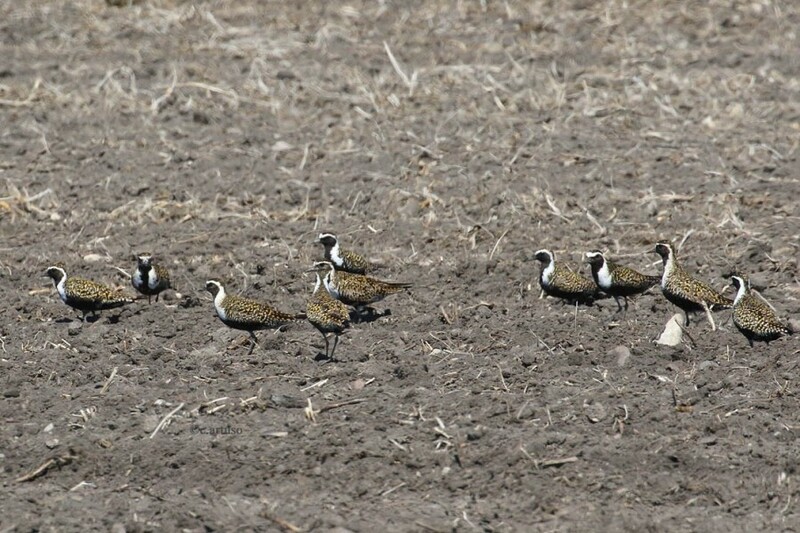 American Golden-Plovers in a dry field in Southwestern Manitoba. Photo by Christian Artuso. Upland Sandpiper. Photo by Brad Winn. The morning before the workshop, Christian and I ventured over to the water’s edge on the NCC property of Jiggens Bluff and found eight Red Knots in bright breeding plumage, preening and foraging in the shallow water. One Knot had a light green flag affixed to its leg. The green color indicated the country where the bird was originally banded – the United States. We were unable to get close enough to read the combination of letters and numbers on the flag which would help us track down even more details about this individual bird’s history, but it is very likely that this Red Knot was banded in coastal Texas. During the workshop a day later, as we scanned a small wetland through our scopes, Gillian Richards, a workshop attendee shared that she had seen a Hudsonian Godwit with a red flag on its leg. Red flags indicate that the bird was banded in Chile, representing yet another direct connection to an even more distant location – and one where our team had recently delivered two workshops and seen large flocks of nonbreeding Hudsonian Godwits on their wintering grounds on Chiloé Island, Chile. As we left the long days of May in Manitoba and with my long day of travel ahead, I thought back to those Red Knots and their journey. To my knowledge, those birds were at Jiggens Bluff for just a few days but that brief time to rest and refuel at a property owned and conserved by Nature Conservancy Canada ensured that their time in Manitoba would contribute to a successful next leg of their trip and their nesting efforts. Workshop participants at Jiggens Bluff, Manitoba. Photo by Christian Artuso. This workshop helped to engage a group of dedicated people in Manitoba in shorebird conservation and monitoring. 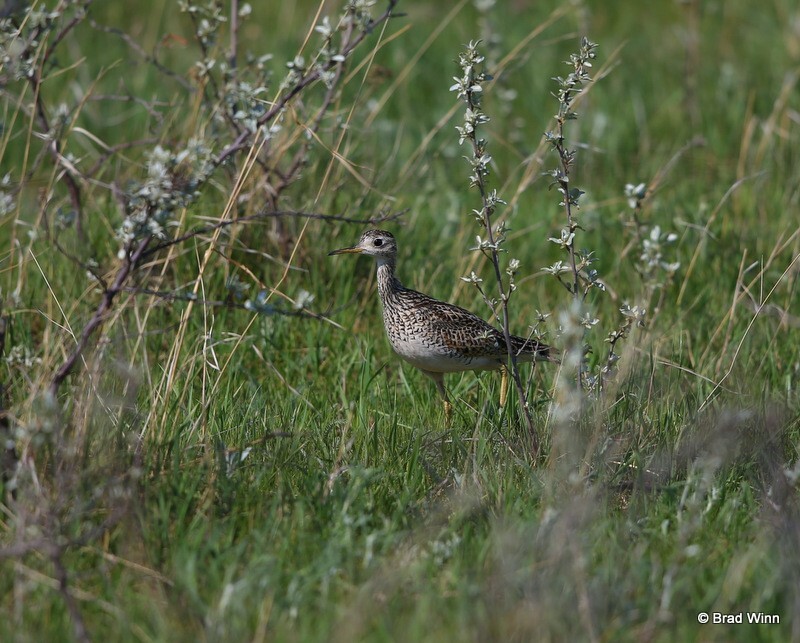 Using International Shorebird Survey protocol, the data collected here will contribute directly to the local understanding of how shorebirds use the Manitoban prairies and our collective understanding of long-term shorebird population trends. These data are collected across North and South America and are a significant resource for informing decision making at the U.S. and Canadian state/provincial and federal levels. Working together, we can monitor and help conserve shorebirds. But for those knots at Jiggens Bluff, it was North to the Arctic, to lay four eggs and raise their young, and then to begin their great migration once again. © Manomet Inc. All rights reserved.